Catalonia’s assembly is due to choose a new regional president after Artur Mas stepped down and pro-independence parties reached an agreement to form a coalition. The anti-capitalist CUP party and the Junts pel Si (Together for Yes) alliance are expected to elect Carles Puigdemont as regional president. The two sides had disagreed over whether Artur Mas could continue as Catalan president following elections. Artur Mas has stepped aside in favor of Carles Puigdemont to avoid new elections. Disagreements between secessionist parties, which gained a majority in September’s regional polls, have blocked the formation of a new Catalan government. Artur Mas has been in power since 2010 and heads Junts pel Si, which won 62 of the 135 seats. However, the CUP (Popular Unity Candidacy), which holds 10 seats, has refused to support him. 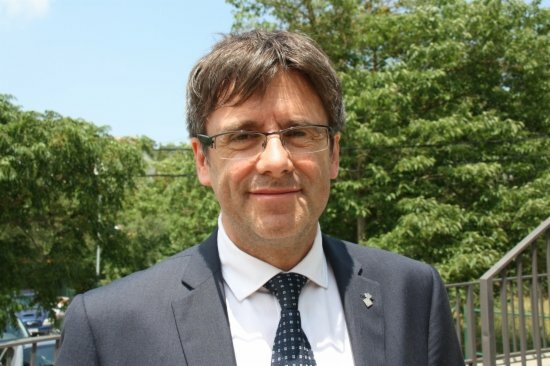 Carles Puigdemont is the mayor of the town of Girona. Nationally, Spain faces weeks of political uncertainty after an inconclusive general election on December 20. In November, the Catalan parliament voted to start the secession process – a move declared unconstitutional by Spain’s conservative Popular Party (PP), which ran the country before last month’s election. Catalonia is a highly industrialized and populous region in Spain’s north-east that accounts for about a fifth of the country’s economic output. Both the PP and the Socialists (PSOE), who came first and second respectively in Spain’s general election, oppose Catalan secession.